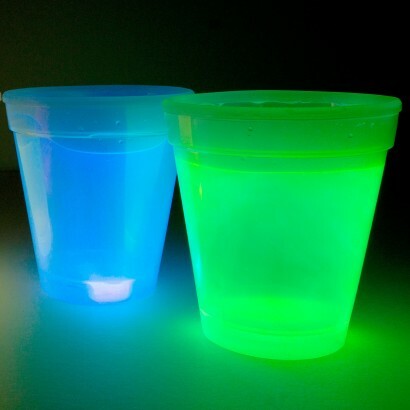 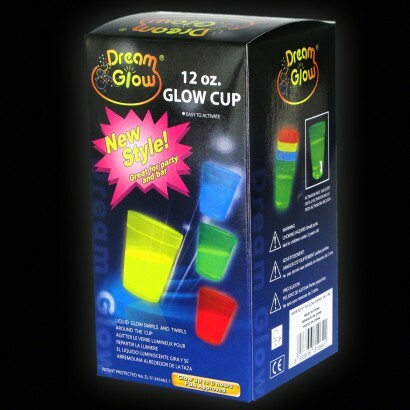 When you drink from the glow cups it appears that you are drinking the glow! 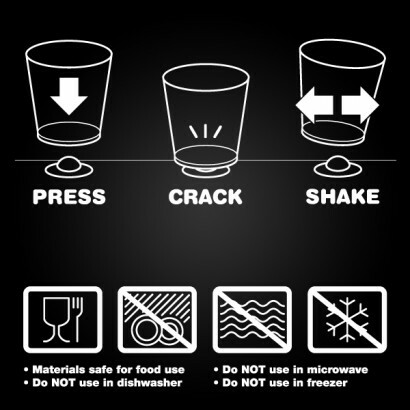 We guarantee you will not be disappointed! To activate your glow cup, centralise the base of the cup over the peak of the activation button included and press down to firmly apply pressure. 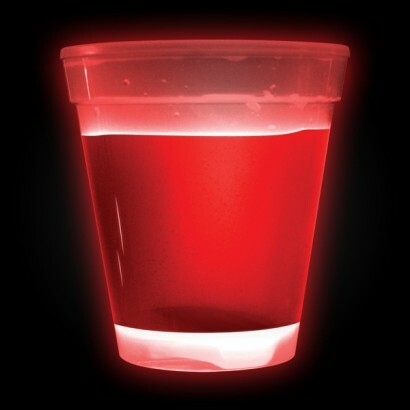 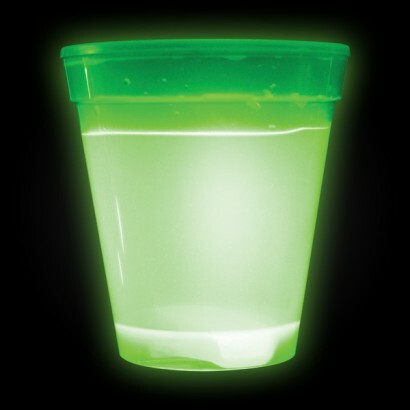 The glowstick in the base of the cup will crack releasing your glow. 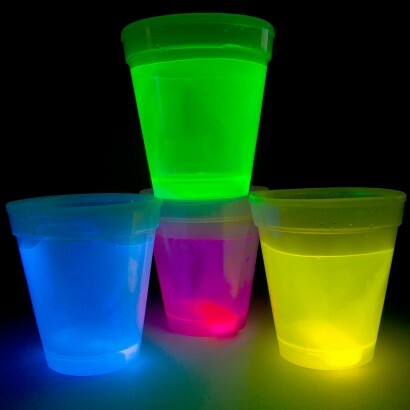 Simply shake to spread the fabulous glowing effect around your cup and enjoy for up to eight hours!